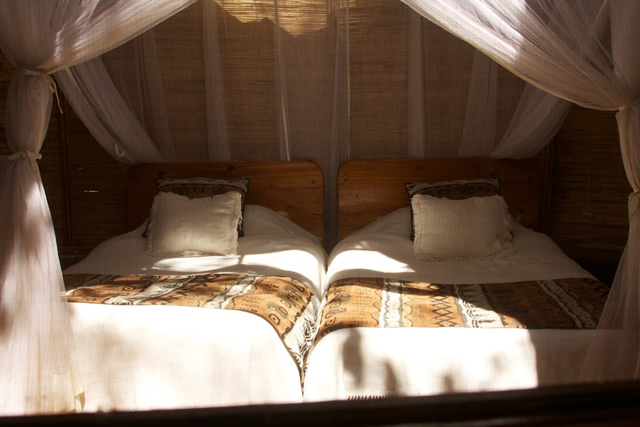 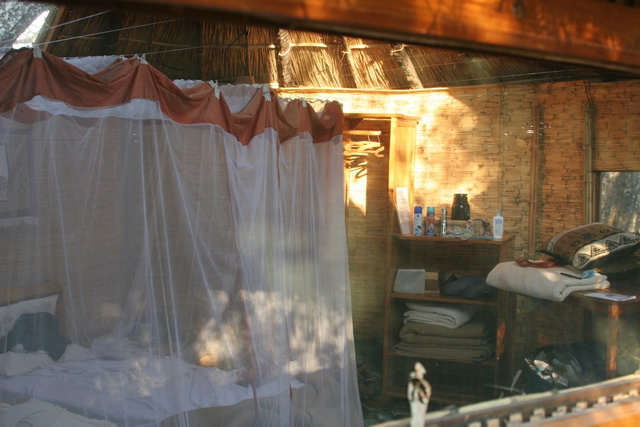 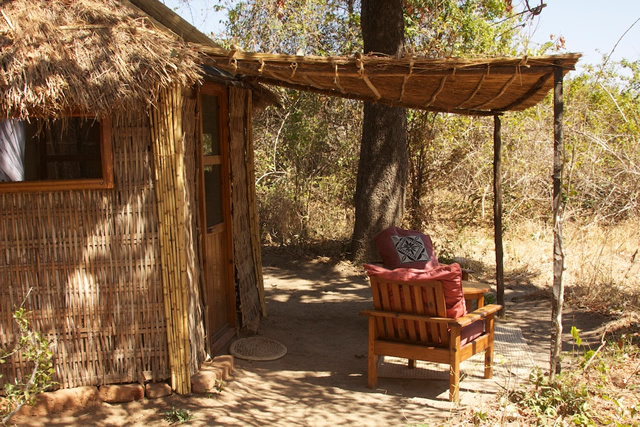 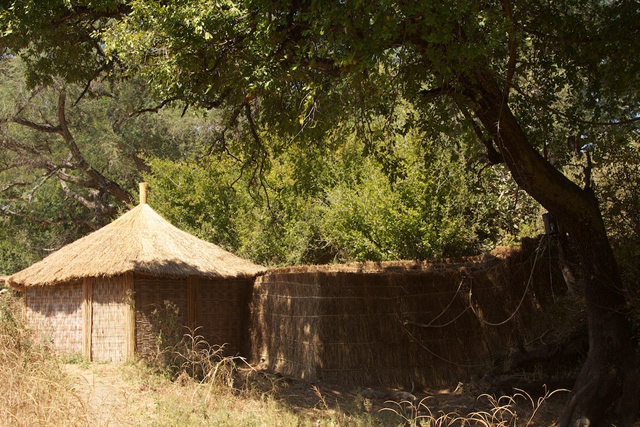 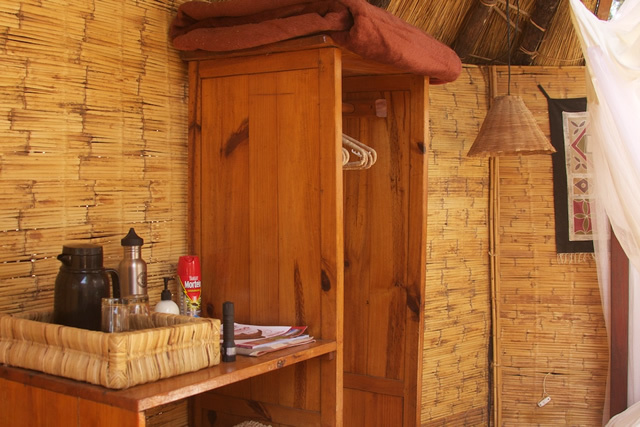 Bush camps have similar in facilities to the mobile tented camps, but are located in seasonal areas, often have thatch used for some of the wall separations (bathroom areas) outside the main tent, and sometimes over the roof, and set up each year in the same location. 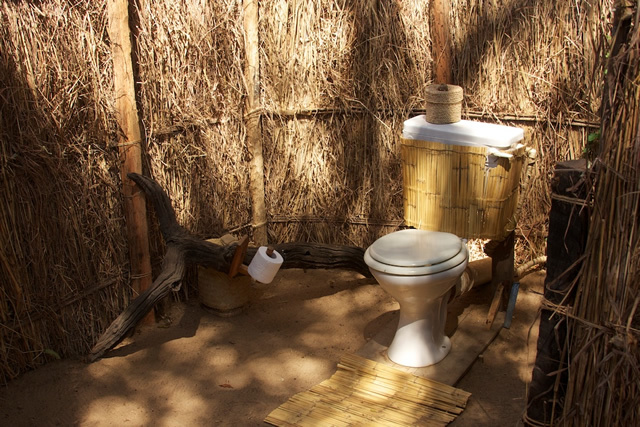 Simplicity is the aim. 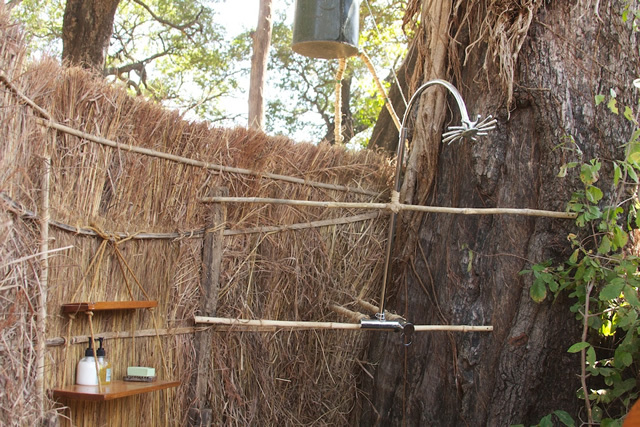 Some have en suite showers and loos, others provide a more rustic experience. 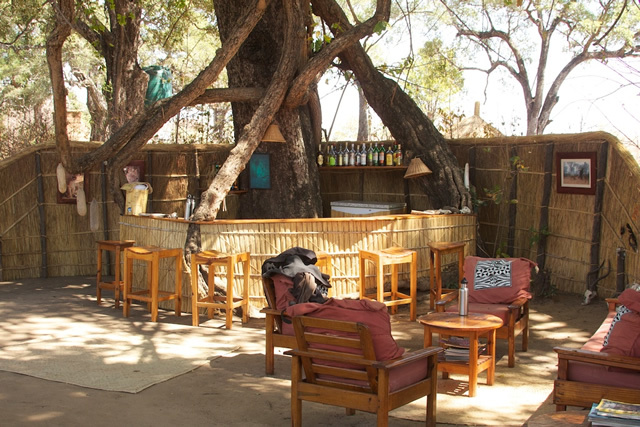 The cuisine is usually good home cooking, with fresh ingredients, and the bar is stocked with ice and invariably has excellent views! 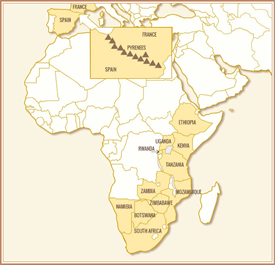 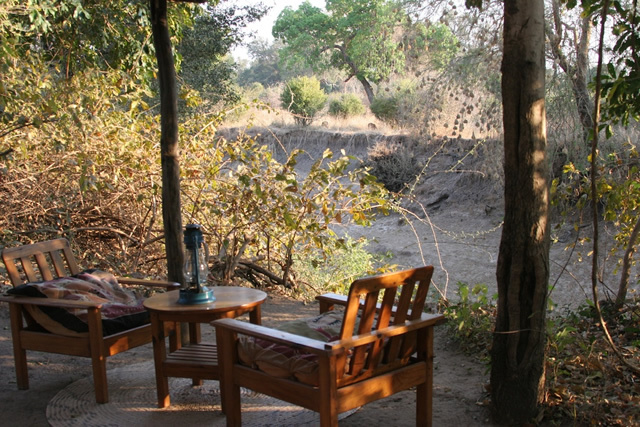 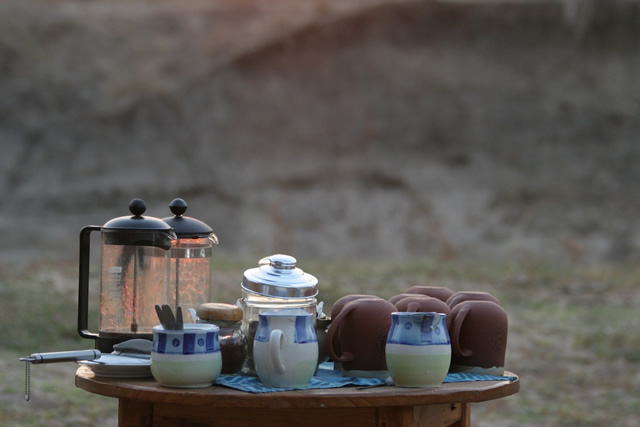 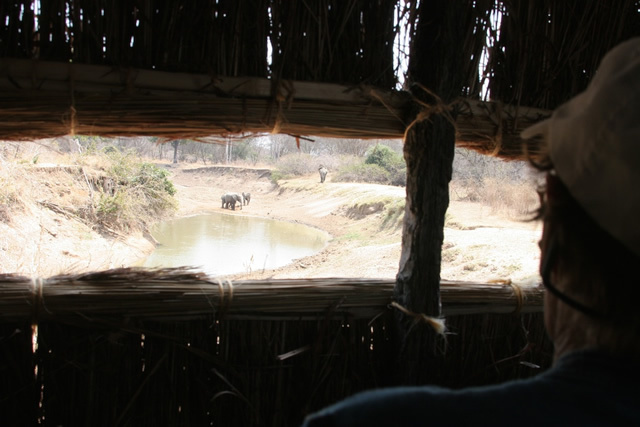 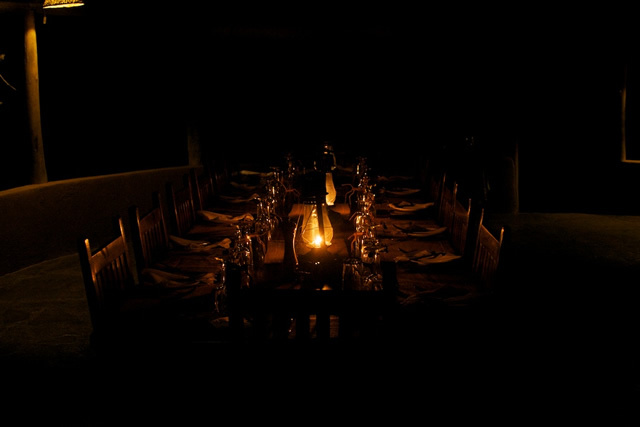 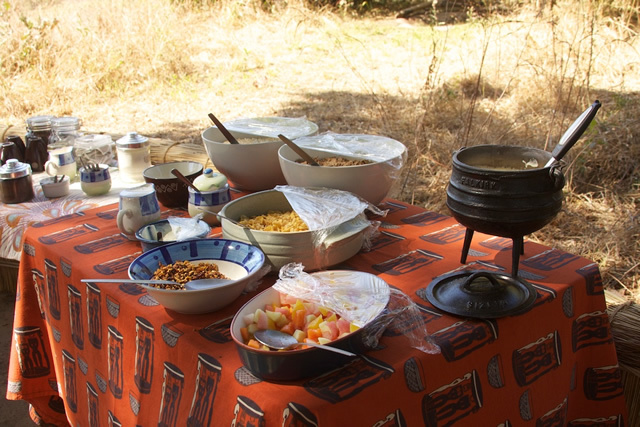 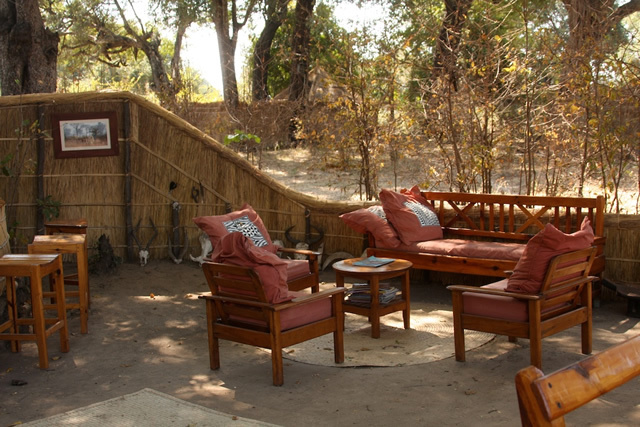 Mwamba Camp in South Luangwa is an example of a bush camp.